World-renowned as "The Player's Choice" among guitar players of all genres and styles. XL strings are wound with nickel-plated steel, known for it's distinctive bright tone, excellent intonation and reduced fret wear. 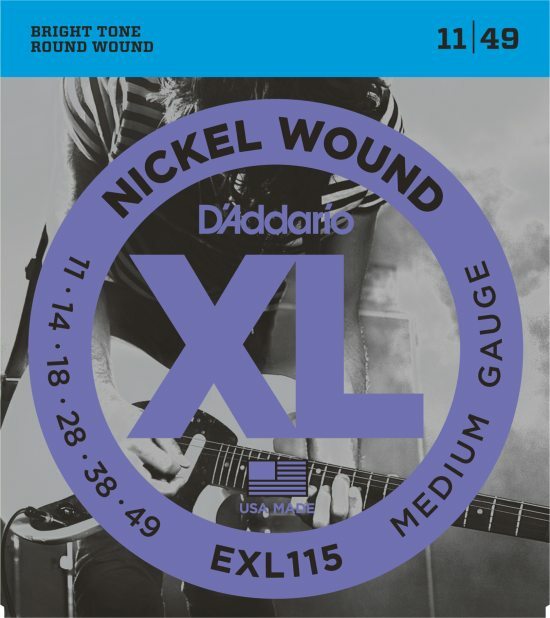 EXL's are among D'Addario's most popular round-wound, nickel-plated electric guitar strings. D'Addario is the world's largest manufacturer of strings for musical instruments. Many top guitarists won't play any other brand. Regardless of your playing style, D'Addario has a set that's right for you.